We specialize in Life Insurance Approval with Empyema! We know it can be frustrating searching for a life insurance policy with a history of Empyema. Can People Who Have Empyema Be Approved for Life Insurance? Yes, most individuals with Empyema will be able to qualify for traditional life insurance, the type of insurance which requires a medical exam. Best Case Scenario – Most cases that have been detected early and the infection treated early, may qualify for the best rating at “Standard”. Provided, that there are no high risk factors for recurrent infections such as drug or alcohol abuse. Click here for quote at “Standard”. If you have a serious case of Empyema that recurs frequently, you may have difficulty qualifying for traditional coverage, but could be eligible for a graded death benefit policy. How many years ago were you diagnosed with Empyema? Empyema is a treatable condition that has a good prognosis when diagnosed early and the symptoms of chest pain, shortness of breath and infection managed well. These cases may qualify for a “Standard” rating. Symptoms high grade fever, dry cough and chest pain may be flare signs of an ongoing lung infection. These cases need to have a thorough medical evaluation to ensure the absence of complications such as sepsis before a rating can be determined. The need for medication for Empyema may be a sign of an active infection, and insurance companies may require postponement until the condition has been completely resolved before a rating can be given. Recent laboratory test for blood culture and diagnostic tests such as X-ray and CT-scan are the best ways to assess your actual condition. This may also confirm your compliance with your physician’s medical management. Do you have lifestyle practices that may put you at a higher risk for the recurrence of the condition? If you have a history of drug or alcohol abuse, you may have a low immune system that is considered a high risk factor for Empyema. 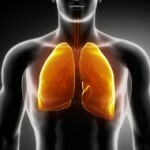 If you are often diagnosed to have pneumonia then you may be required for a more thorough medical evaluation. Empyema is a condition characterized by an infection that begins from the lungs then leads to a collection of pus (infected fluid caused by bacteria, chemical or fungi and dead cells) in the pleural cavity. Although most commonly found in the lungs, other areas may also be affected including the brain, joints, uterus, appendix and many others. The usual cause of Empyema is from lung abscess or a case of pneumonia. If the infection is not treated early, it reaches into the pleural cavity. In rare cases, infection may also start following a surgical procedure that uses medical devices. More common symptoms of Empyema include fever, shortness of breath, chest pain, difficulty of breathing, dry cough and pleuritis or pleurisy. Less common signs may include loss of appetite, general fatigue and weight loss. In severe cases, however, patients may manifest signs of sepsis (infection of the blood) such as high grade fever, chills, low blood pressure, rapid respiration and pulse rates. 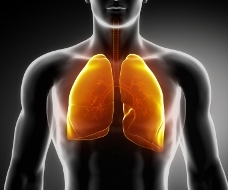 See all our other articles on Respiratory Diseases and CLICK HERE!